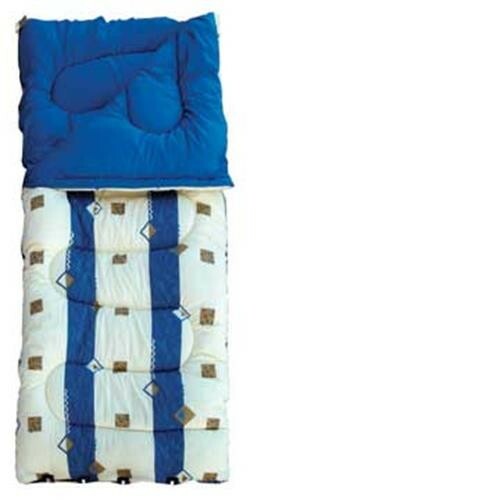 Royal Umbria Blue Sleeping Bag, Size: 60oz Super King Size. High Quality, warm and soft with hollowfibre filling. 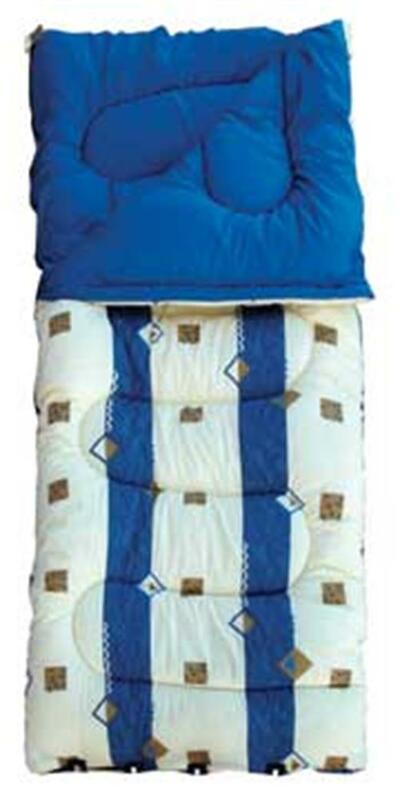 Printed polycotton lining and supplied with matching carry bag. Will zip together. Dimensions: 203 x 92cm. 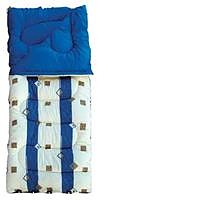 Plenty of room, nice and long and super warm, great sleeping bag, would recommend to anyone.